The reflector arrives with an optional direct-light blocker. 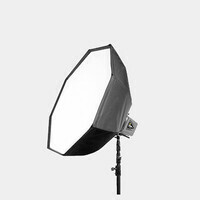 Direct light from the flashtube is blocked, allowing only bounced light from the reflector to fall on the subject. This reduces the degree of reflections from shiny “specular” objects. 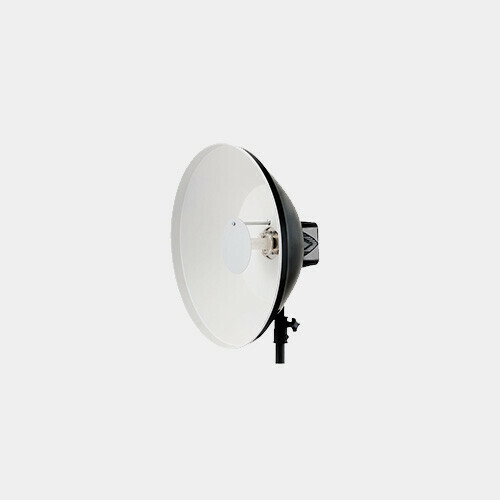 For ever softer results, the White Beauty Dish additionally arrives with a translucent white diffusion sock that converts the reflector into the equivalent of a round softbox with very even coverage and outstanding evenness across the face of the diffusion fabric. 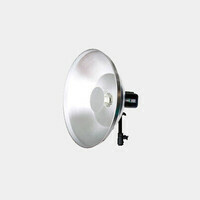 This widens the angle of coverage to about 150° and lowers the output by about 1 to 1-1/2 f-stops.